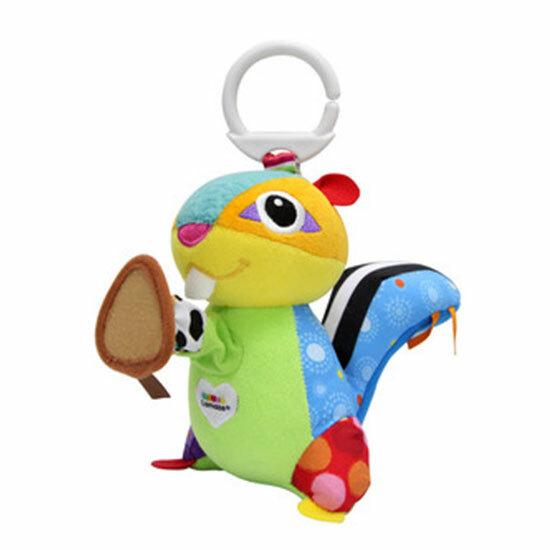 This recall includes Lamaze Munching Max Toy has an item number of L27578. The toy is green and blue with a white clip. An internal part could break and create a sharp point that penetrates the surface of the toy. Should children stop playing with them? Consumers should immediately take the recalled stuffed animal away from children. Potential sharp point could be created by broken internal part. What should consumers do with this toy? Consumers should immediately take the recalled stuffed animal away from children and contact TOMY International online at http://recall.tomy.com. Product can be returned to TOMY free of charge to receive a similar product replacement and a TOMY online store coupon that can be applied towards any future Lamaze purchase at www.tomy.com. Note the one-time use coupon code is limited to one per household. Do not return the item to the store. How do I receive my prepaid shipping label? You can request your replacement product at http://recall.tomy.com As part of this process we will email you a prepaid shipping label that you will use to return the recalled toy. Do not ship the product in advance of completing your online request and receiving your label. If you are unable to receive via email, please contact TOMY at call 1-866-725-4407 between 8:00 a.m. and 4:00 p.m. CT Monday through Friday. Visit http://recall.tomy.com or call 1-866-725-4407 between 8:00 a.m. and 4:00 p.m. CT Monday through Friday.